Martin Sahlin von Coldwood Interactive ist Spieleentwickler aus Leidenschaft. 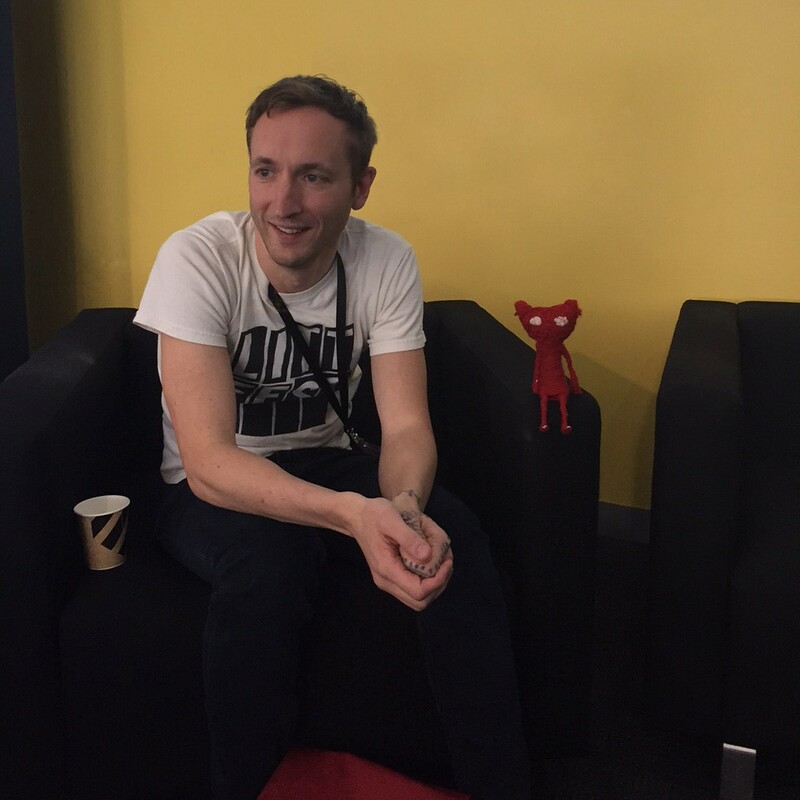 Als Creative Director war er entscheidend am großen Erfolg unseres preisgekrönten Spiels Unravel beteiligt. 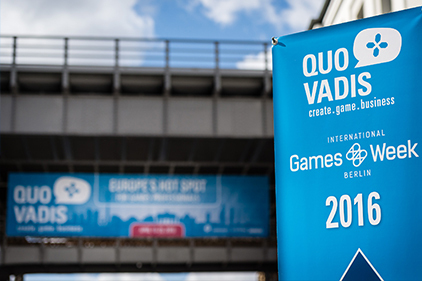 Im Rahmen der International Gamesweek Berlin 2016 hatte ich auf der Fachkonferenz Quo Vadis die Gelegenheit mit Martin Sahlin zu sprechen. 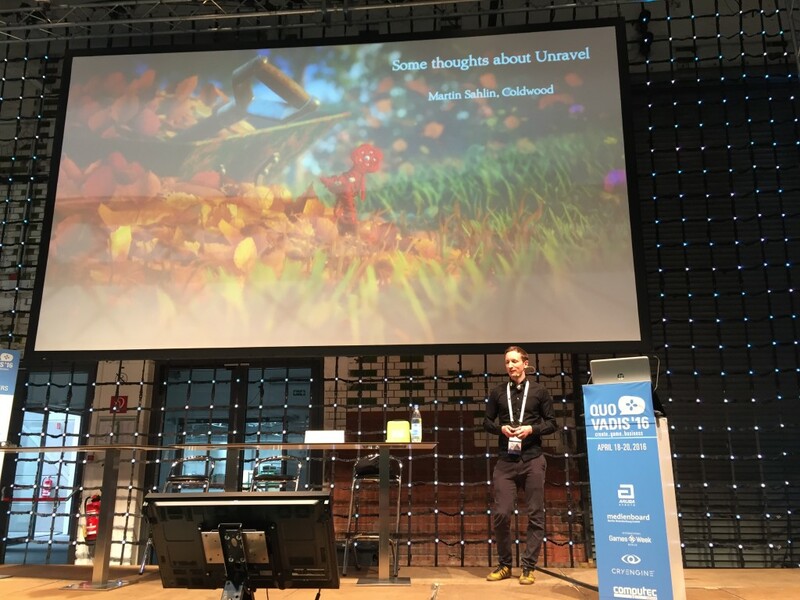 Bei seinem spannenden Vortrag vorher ging er unter anderem darauf ein, warum und wie Unravel gemacht wurde, wovon es inspiriert wurde und was die Entwickler zu erreichen hofften. Martin Sahlins Gedanken über die Kunst Spiele zu machen sind faszinierend, er ist der Meinung, dass Empathie als Spielmechanik funktioniert und erläuterte auch gleich noch warum und wie. Besonders spannend ist sein Plädoyer dafür, dass Spiele etwas Bestimmtes bezwecken, also eine Absicht verfolgen sollten. Warum Games deshalb auch für die reale Welt relevant sein, moralische Dilemma aufdecken und dadurch tatsächlich Gutes bewirken können, ist im folgenden Interview mit ihm nachzulesen. Martin Lorber: I would like to focus our conversation on some more general aspects of games: You mentioned that games could be very powerful. What exactly do you mean by that? Martin Sahlin: I just mean that they have the ability to grab you in a way that I don’t think anything else can. And it’s just for such a long period of time as well. You are totally immersed in the experience. And you identify with it so strongly. I remember playing Shadow of the Colossus for instance and as you are killing these colossi you are feeling increasingly sad and guilty about it because you are destroying these beautiful things and you can kind of see it reflected in the world and in the character as well, who is getting more gloomy and sad and you are sort of feeling bad about it. But then you get to the end where the final colossus breaks a bridge and your beloved horse – the only living thing that you shared this experience with – tumbles to its death in the ravine … and I was furious! I really wanted to get even with that last boss for killing my horse. And then I took a step back from it and stepped out of the experience and realized „Okay wait … it’s just a game. Remember: It’s just a game.“ That’s also like the power of them. They really can transport you into an experience and just make you someone else or something else for a while which I think is super awesome! Not just because it’s a powerful experience, but because that experience can actually be very useful, like teaching empathy and things like that. That could potentially be a big deal. 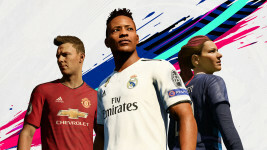 Martin Lorber: One of the unique things of games is that you as a player are also the interpret. It’s a different think compared to a movie for example which is always the same no matter how often you watch it. But a game is different every time, depending on the player and the game itself. So, do you think that only the game maker can control the emotions transported by the game or does the player also have control over it? Martin Sahin: I think it can be both things. I mean Unravel for example is more like a linear directed experience. And I think those games are easier to make, but I think that the more elaborate games – where the player is more in control – are potentially even more powerful. It is harder to create emotions in a completely dynamic and changing environment, so game makers often focus on the silly things, the easy laughs. There are many games where you just can go nuts and break things. But I think it is something that we are just beginning to explore and I think it’s going to be very cool to see what people make in the future: to make more dynamic but also more emotional things. So I don’t know yet what it’s going to be. But I’m very curious about it! Martin Lorber: And empathy is very important to you as well. What exactly does empathy in games mean to you? Martin Sahin: Well, to me empathy is like the biggest thing because it has so many real-world implications, for instance if you look at the world right now with the refugee crisis, the rising of racism, that’s the type of stuff where I think games could potentially have an impact. We did a thing a couple of weeks ago, a games day at the local cultural center in Umeå. We brought in kids from one of the refugee centers and just played games with them and made yarnies with them and basically had a good time together and tried to bring people together from different groups and different cultures and play games together. And that’s just kind of like scratching at the surface. I think games could actually have some sort of profound influence in the world as well. Games have the ability to put you in someone else’s shoes and have you really understand what their experience is like. That is a really cool and powerful thing and that’s very useful and I think a lot of people could really benefit from that. The thing about games is that they’re sort of insidious. They really get under your skin. So you can kind of do those things, you can get those points across without having to preach. You can just basically let it come naturally to people and have themselves realize that these are actually important things. Martin Lorber: With that in mind. Could you explain what a game is for you? Martin Sahin: What a game is for me? I mean they can be so many things. An experience, a set of problems to solve, it’s a chance to go somewhere else and explore and experience new things, things you otherwise wouldn’t be able to. Be different people, be different creatures, characters, things, whatever. All those things are games. To me it’s hard to break it down into specifics, like “a game is a set of rules that you need to interact with in a certain manner to achieve certain goals”. To me it’s very much about the experience, it’s a living thing, almost like something where I can just be transported into a different world. And yes, I can interact with those rules and whatever. But to me that’s not the primary thing because I think we are at this point where so many games are essentially mechanically perfect, like they really really eat up every shred of your attention. The feedback loop is spot on… So basically to me that’s not the interesting challenge anymore. The challenge is to create these experiences that actually feel meaningful, that actually enrich the player and give them something worth keeping. Martin Lorber: Do you as an artist ever think about defining what a good game is while you are developing it or do you just don’t think about that while you are in the creative process? Martin Sahin: I think about it a lot, but when I actually make something I try to just let the ideas speak for themselves, and try to avoid directing that process too much. You do that anyway subconsciously, but you don’t want to force it through a frame, like a specific pattern, like “This is how it’s supposed to work”. It’s more like “Let it happen and trust your judgement”. And probably your experience and skill will guide you in the right path. It’s also that games can be good in so many different ways. People assume that I would like a specific type of game, but games can serve different purposes. I play a whole lot of First Person Shooters for example, even though I know that it’s totally not my type of game in a lot of different ways. But for me it’s this thing that I do together with my friends. We sit down and just chat about nonsense and have wine. And it could have been any game really. But the fact that we’re doing it as this social thing that really brought people together. I get to talk to my friend that moved to London ten years ago and now I can talk to him almost every day because we play games together. And that’s pretty sweet. Or when I was younger and before I started working in games I used to work as a mailman and I absolutely hated it and I was just depressed beyond belief. And basically the thing that made my day work was that when I got back from work I could sit by myself for an hour and I could play Jedi Knight and shoot force lightning for a while. And then I could be like a person again and have fun and talk and just be relaxed. But if something got in the way of my force lightning then it was like „Argh… that day is ruined“. Martin Lorber: Are you interested in things like the “game for change idea”. Do you think games should have a purpose? Martin Sahin: I absolutely think that they should. I only wish I was like a smarter person so I could make better games like that, because then I would do it all the time. But honestly I think that it’s a bit weird that we’ve come to some sort of strange point where it’s sort of ugly to care about stuff. It’s ugly to have an agenda. You’re supposed to just let things be as they are and not make noise. And I think that’s just stupid. I think that a game is a powerful form of expression and it should be used to express powerful things. So I don’t know, maybe I’m wrong. Maybe games aren’t going to have that big of an impact – but if they can, if they will, if they do – then it’s sort of our responsibility to just try and make the most of that. And just: Let’s try! The worst thing that can happen is that we’ll make a bunch of great games, you know? And maybe we could actually do some proper good. With Unravel, if you boil it down to its very essence the game is just basically trying to be nice, trying to make you feel good. We’re putting you through some rough stuff to get there, but in the end it’s just about making your heart feel a bit warmer. I think that’s a nice agenda, a good goal, but I kind of wish that we’d put even more stuff in there, and tried to do even more. I want to make a new game every day about a different topic [smiles]. And there’s just so much to talk about and there’s not enough people saying things. So: More games for change, please! Martin Lorber: Thank you very much!